An Ancient Solar System...: Where is the most distant statue? Human beings love to put up statues, effigies, busts, and monuments. They’re such a feature of modern civilisation that we don’t even see them really. But we also use them as markers, and place them out in the wilderness to show that well, we’ve come out here. So... have you ever wondered where the furthest statue from civilisation is? 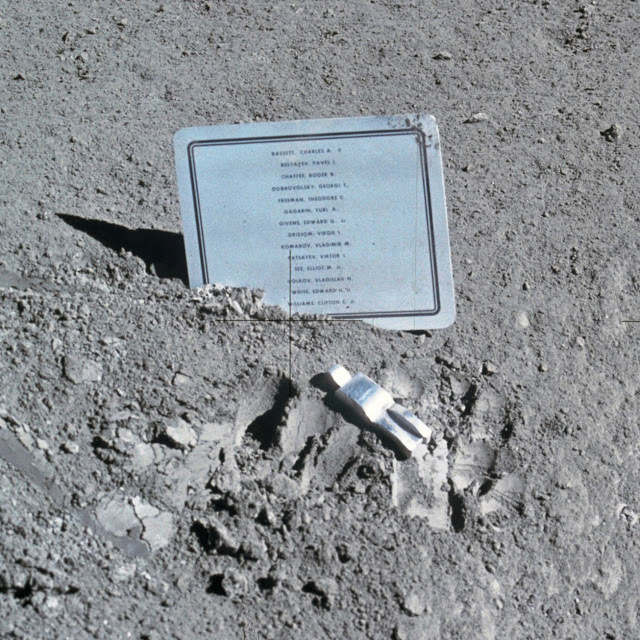 The teeny statue is a memorial to the astronauts and cosmonauts who died during the space race. Sculpted in aluminium by Paul Van Hoeydonck, the Apollo 15 crew placed it on the Moon's Hadley Rille on August 1, 1971 without fanfare. It’s only 8.5 centimetres long, but as memorials go it is spectacular for its location alone - and it is truly alone: The next nearest human structure is the remains of the Luna 2 probe, hundreds of kilometres away. 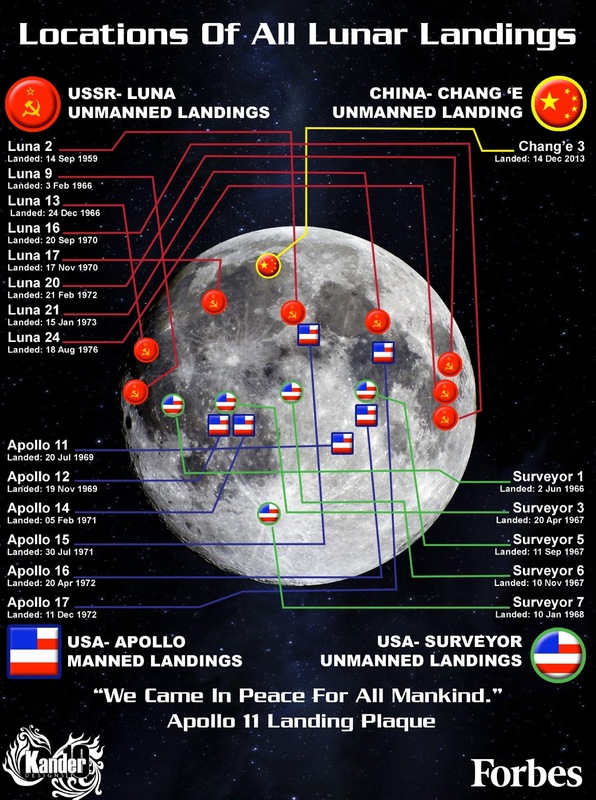 Above: A map of all th landngs onthe Moon's near side, courtesy of Forbes magazine. So, next time you look up at the Moon, remember the fallen astronaut looking back at you for eternity – I wonder when it will see a close up visitor again....?